Li Keqiang Li Keqiang, a former the vice premier, was selected to be China's new prime minister at the 18th Party Congress in November 2012. Li is regarded as an intellectual and potential reformer. He was a law students at Peking University in the late 1970s when ideas about free speech and democracy were gaining an audience after the Cultural Revolution, and rose through the ranks of the Communist Youth League and made a name for himself as party boss of Hubei Province, which surrounds Beijing, and was close to national party chief Hu Yaobang. Li has long been regarded as a protégée of Hu. In March 2008, Li was appointed Vice Premier. He is a leading contender to replace Prime Minister Wen Jibao when he steps down in 2013. Li is a Member of the Standing Committee of the Political Bureau of the CPC Central Committee. Before he became premier he was secretary of the CPC Liaoning Provincial Committee and chairman of the Standing Committee of the Liaoning Provincial People's Congress. In the the 1990s and early 2000s Li rose to become the party's top official in Henan, and Liaoning province in the northeast, both of which saw economic growth, before he was promoted to become a deputy to Wen. Classmates at Peking University said Li embraced Western and liberal political theory, translating a book on the law by a British judge. After that his career has taken a more orthodox turn. In the 1980s he working as a bureaucrat while his former classmates protested in Tiananmen Square in 1989. "Li Keqiang has seriously disappointed the democrats and liberal intellectuals who knew him at Peking University in the 1980s, said Jean-Philippe Beja, of France's National Centre for Scientific Research. From 1974 to 1976 Li was a secondary school graduate sent to work at Dongling Brigade, Damiao Commune, Fengyang County, Anhui Province. From 1976 to 1978 he was Party branch secretary of Damiao Brigade, Damiao Commune, Fengyang County, Anhui Province. From 1978 to1982 Li was a student of the Department of Law and leading member of the Student Union of Peking University. In 1982-1983 Li was Secretary of the CYLC committee of Peking University. From 1983 to 1985 Li was Director general of the School Department of the CYLC Central Committee and concurrently secretary general of the All-China Students' Federation, Alternate member of the Secretariat of the CYLC Central Committee. From 1985 to 1993 Li was a Member of the Secretariat of the CYLC Central Committee and vice chairman of the All-China Youth Federation (September-November 1991. During that time he studied at the Party School of CPC Central Committee. From 1993-1998 Li was First secretary of the Secretariat of the CYLC Central Committee and concurrently president of the China Youth Political College (1988-1994: obtained MA and doctorate of Economics after attending the on-the-job postgraduate program on Economics at the School of Economics of Peking University). In 1998-1999 Li was Deputy secretary of the CPC Henan Provincial Committee and acting governor of Henan Province. 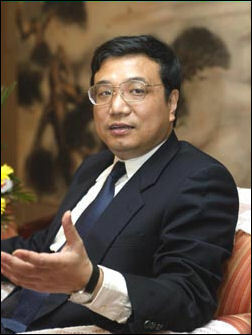 From 1999 to 2002 Li was Deputy secretary of the CPC Henan Provincial Committee and governor of Henan Province. In 2002-2003 he was Secretary of the CPC Henan Provincial Committee and governor of Henan Province. In 2003-2004 he was Secretary of the CPC Henan Provincial Committee and chairman of the Standing Committee of the Henan Provincial People's Congress. 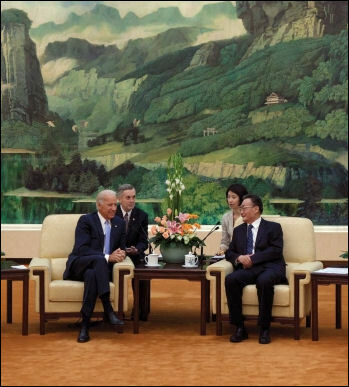 Li Keqiang with Joe Biden From 2004 to 2005 Li was Secretary of the CPC Liaoning Provincial Committee. From 2005 to 2007 he was Secretary of the CPC Liaoning Provincial Committee and chairman of the Standing Committee of the Liaoning Provincial People's Congress. In 2007 Li was made of Member of the Standing Committee of the Political Bureau of the CPC Central Committee. He was also secretary of the CPC Liaoning Provincial Committee and chairman of the Standing Committee of the Liaoning Provincial People's Congress. His other titles include: Member of the Fifteenth, Sixteenth and Seventeenth CPC Central Committees. Member of the Political Bureau and its Standing Committee of the Seventeenth CPC Central Committee. Member of the Standing Committee of the Eighth National People's Congress. In January 2012 Li made a high-profile trip to Europe, and later reflected on ties between the continent and China in a May commentary published in the Financial Times newspaper. "The world today needs both Western thinking and Oriental vision," he wrote. "If China and Europe can both achieve success by development models suited to their respective conditions, we will make the world more harmonious and prosperous." "He just tried to escape from this crisis" at first, said Wan Yanhai, a prominent Chinese AIDS activist who fled to the United States with his family in 2010 following increasing police harassment. "He's probably not a bad guy, but he's not shown himself to be very capable of managing crises in a strong and responsible way." Is it really plausible to think China’s No. 2 official, the man charged with public-health affairs, will clamp down on an industry in which his brother plays such a pivotal role? To answer “yes “ignores the all-in-the-family dynamic imperiling China’s future. One place where there is a different response is the blogosphere, which keeps referring to China’s “$2.7 billion problem,” or “2.7B” to get around government censors frantically trying to prevent people from reading an Oct. 25 New York Times article about Li Keqiang’s predecessor, Wen Jiabao.